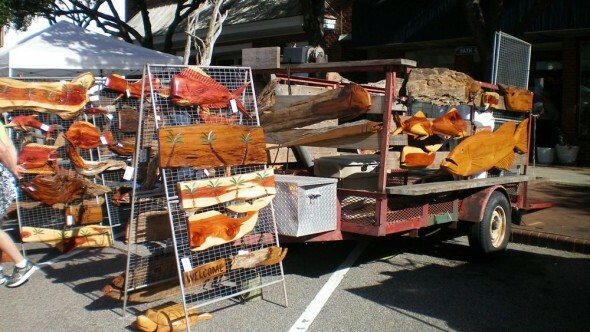 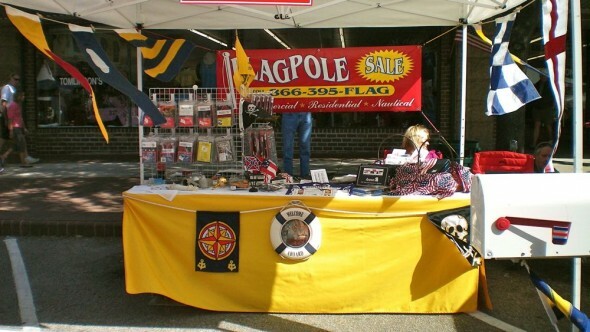 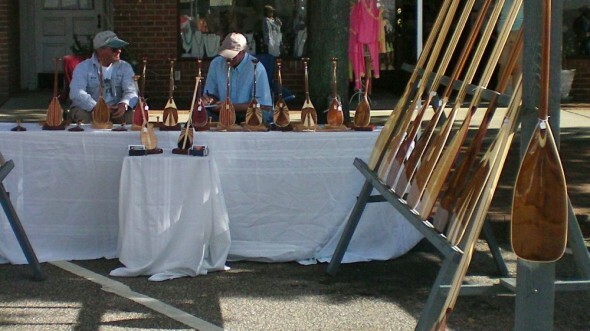 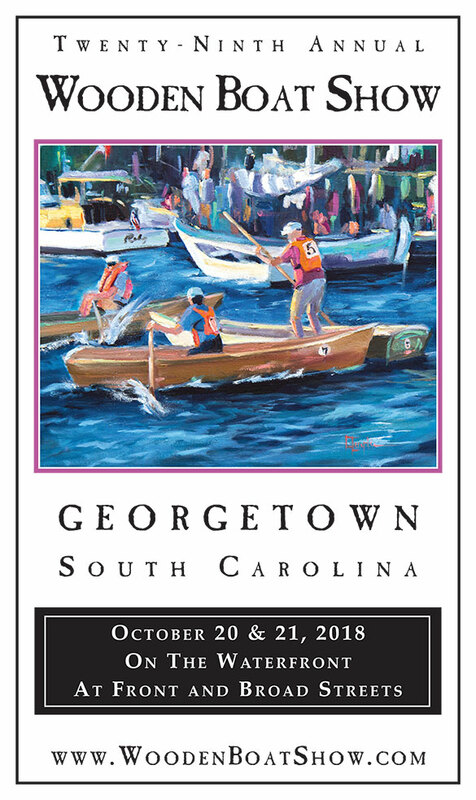 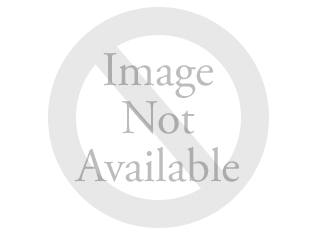 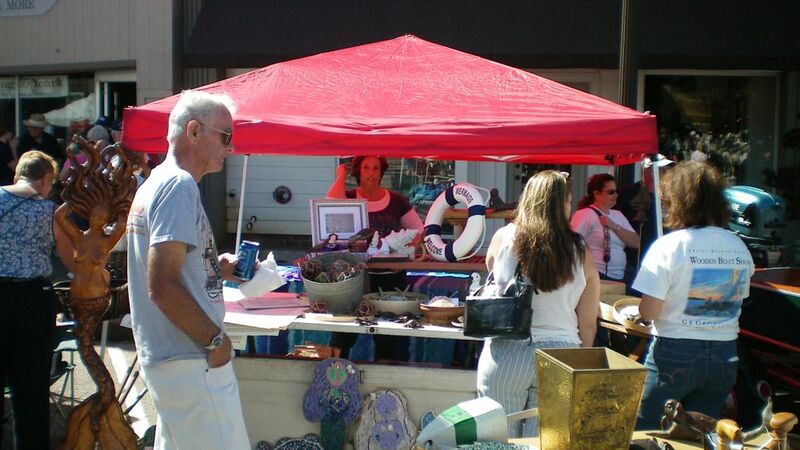 Brunswick Islands Flag & Pole Co.
Carroll Craft, Gastonia, NC is a regular exhibitor at the GWBS. 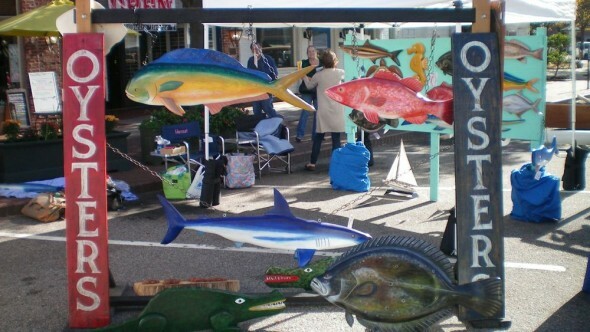 Wooden benches and foot stools embellished with nautical paintings. 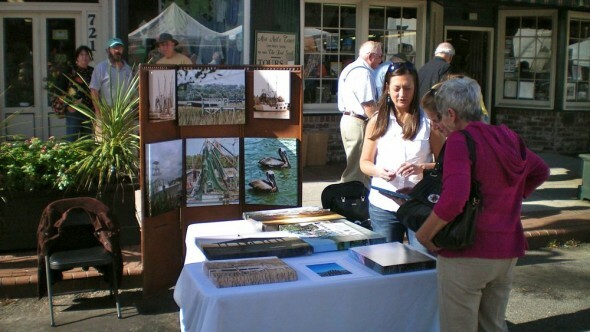 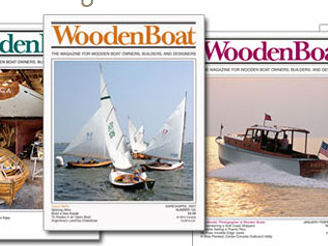 Maritime photos and seascapes. 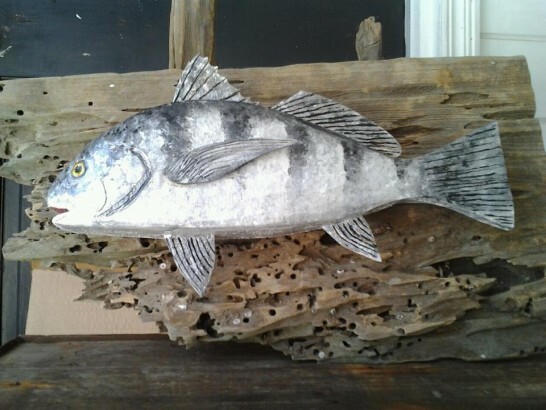 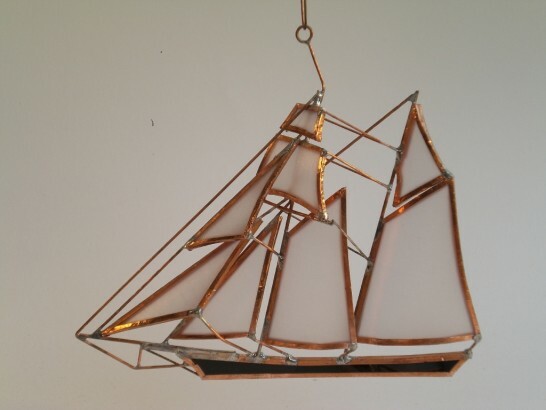 Hand carved wooden mermaids and sea creatures, glass rope bouys, cast iron mermaids and sea creatures, nautical water color paintings, mosaic nautical themed wall art and mirrors, and decorative nautical maps and charts. 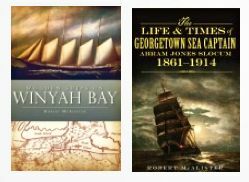 Local author and historian Robert “Mac” McAlister will be selling and signing his books about South Carolina maritime history. 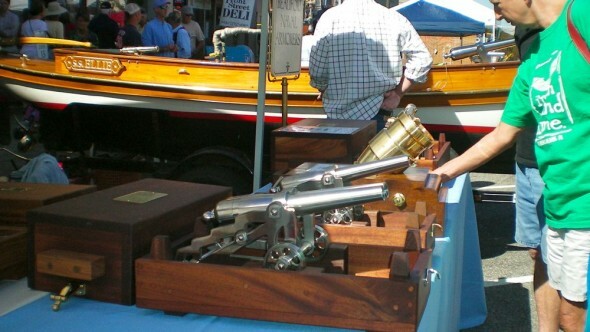 Beaufort Naval Armorers has been custom manufacturing machined bronze and stainless steel Signal Cannons and Replica English Swivel Guns for more than 25 years. Signal salute guns will be displayed on the steamboat, Miss Ellie. 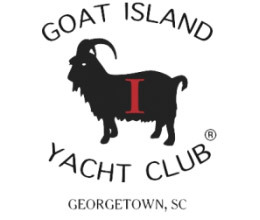 Charleston’s finest full service boatyard. We offer extensive experience in both power and sail repair, ranging from rigging to fiberglass repair, custom wood work to engine refits. 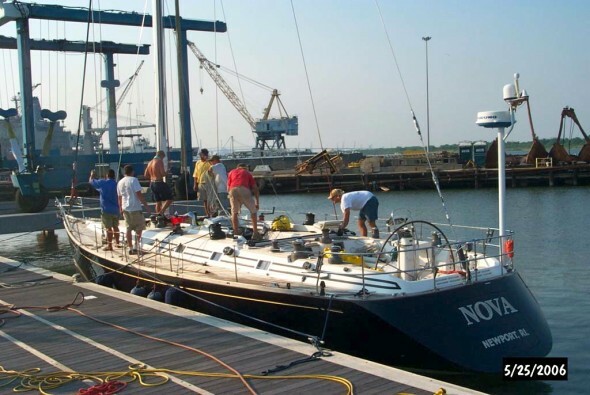 We also provide special services such as custom graphics, interior refits, complete re-powering and custom top and hull side painting. 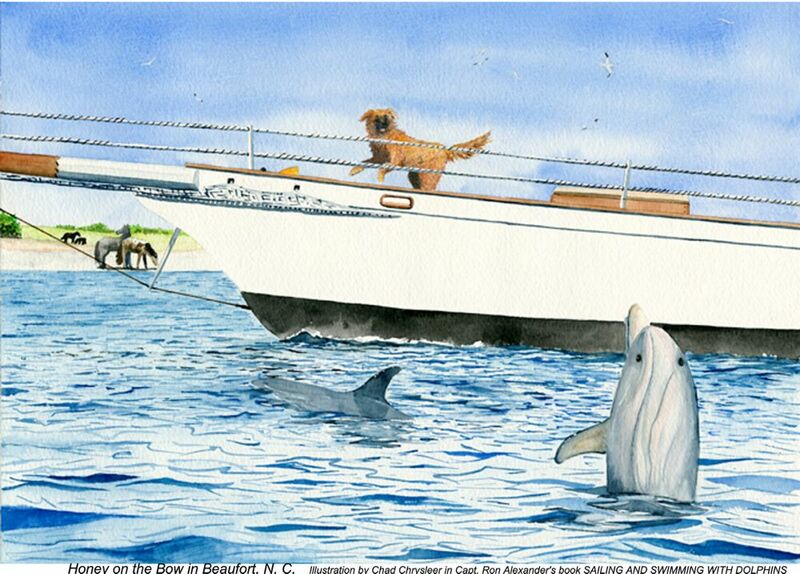 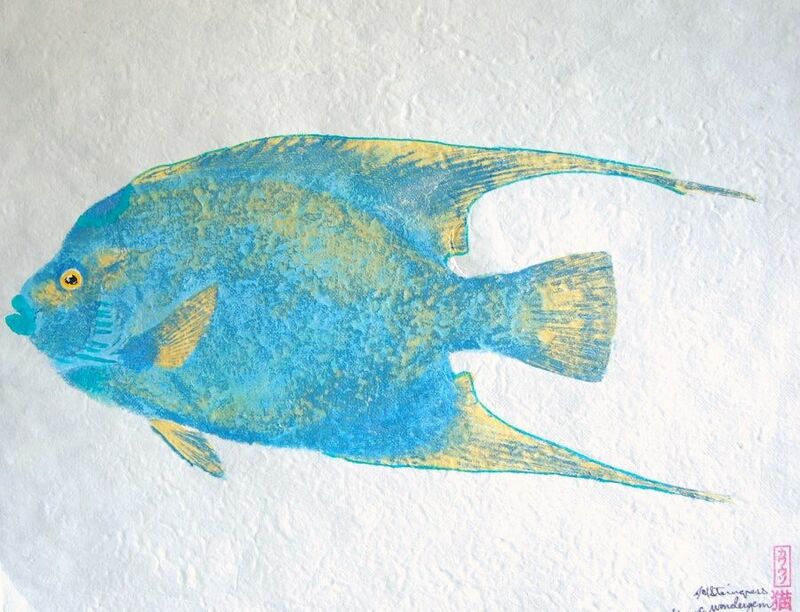 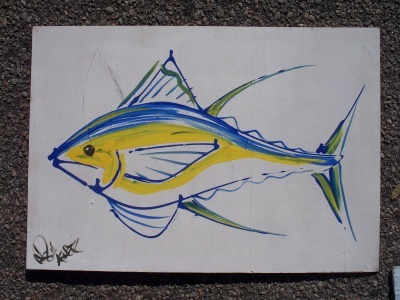 Nautical art including illustrations from Captain Ron’s children’s book “Sailing and Swimming with Dolphins”. 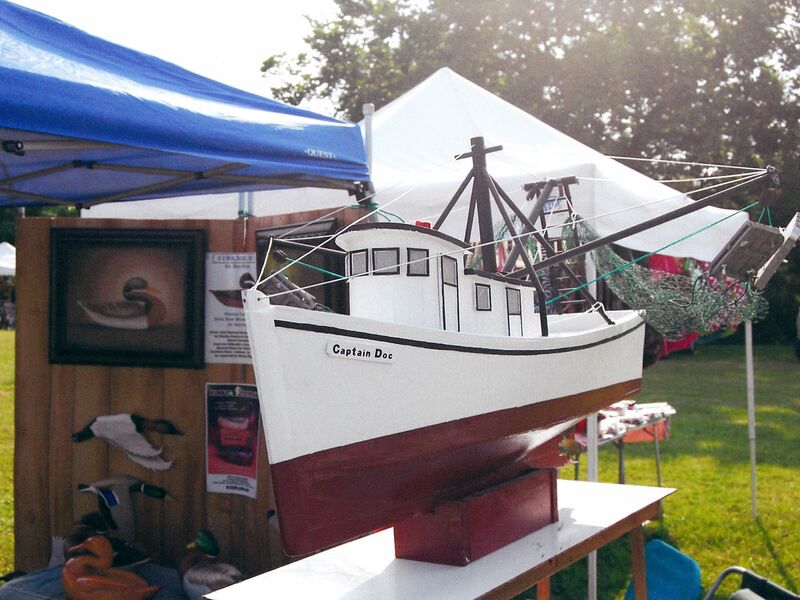 Wooden boat models and duck decoys carved by local sportsmen Roy and Jerry Caines, grandsons of legendary decoy carver, Hucks Caines. Art prints and the book, “A Caines Family Tradition”, by Jerry Wayne Caines will also be available. 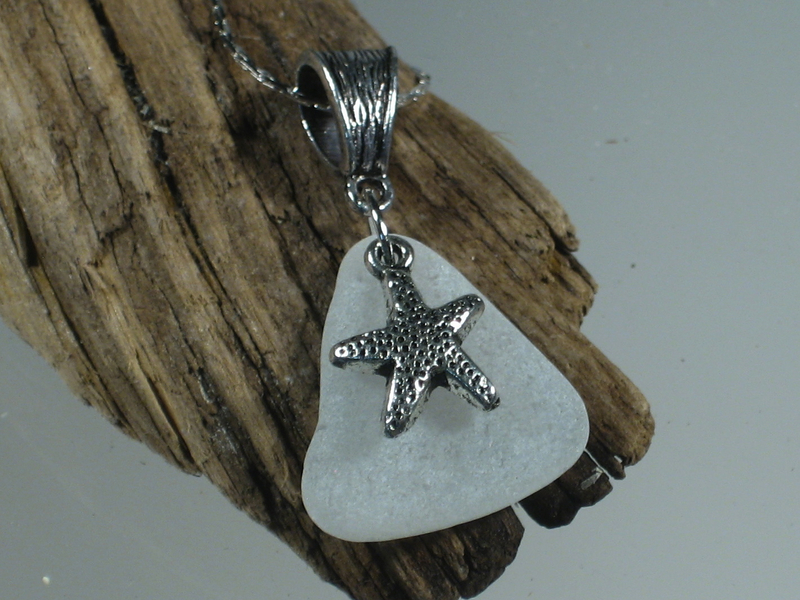 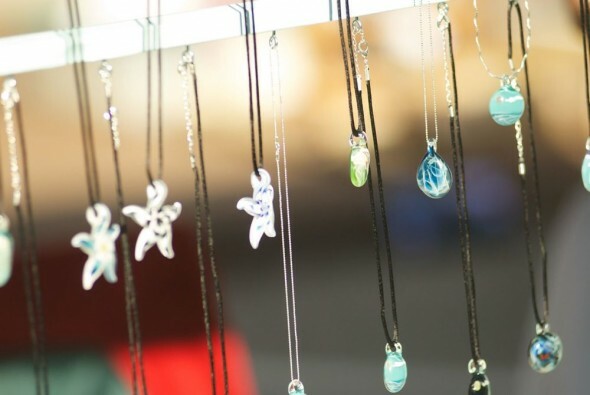 Hand blown glass pendants with silver chains or black silk cords: jelly fish, star fish, ocean scenes, coral gardens. 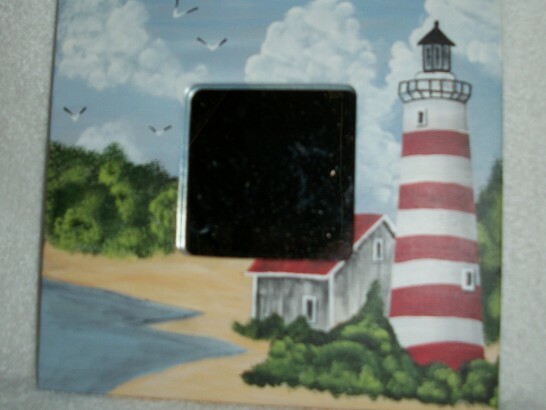 Nautical handcrafted wallhangings and more by local crafter Barbara Flagg. 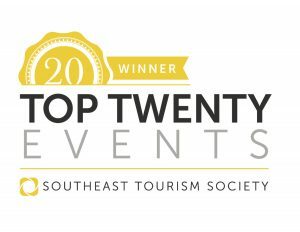 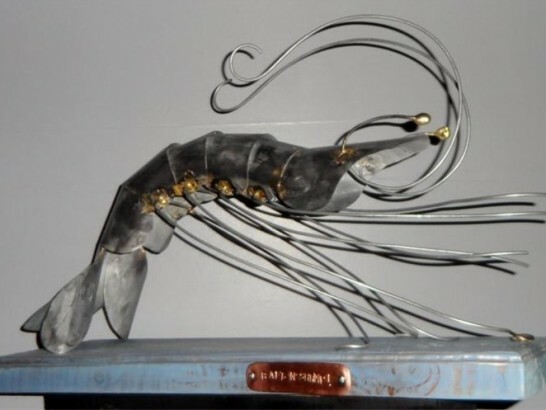 Utilizing reclaimed, recycled and found materials, John D. Donehue, Jr. creates metal art that reflects his Lowcountry surroundings.